Update! ZOMG, gender adjustment time. I mistakenly believed that Onakagoo was a woman when I wrote this post, so I've gone ahead and corrected all the she/hers-isms. Sheesh. 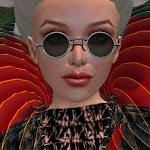 Steampunk, highly detailed and hot hot hot, I give you the flying avatars by Japanese Onakagoo Epin (rez: 11/22/2006), available at his 109 Prims Circus fantasy store in the sky. 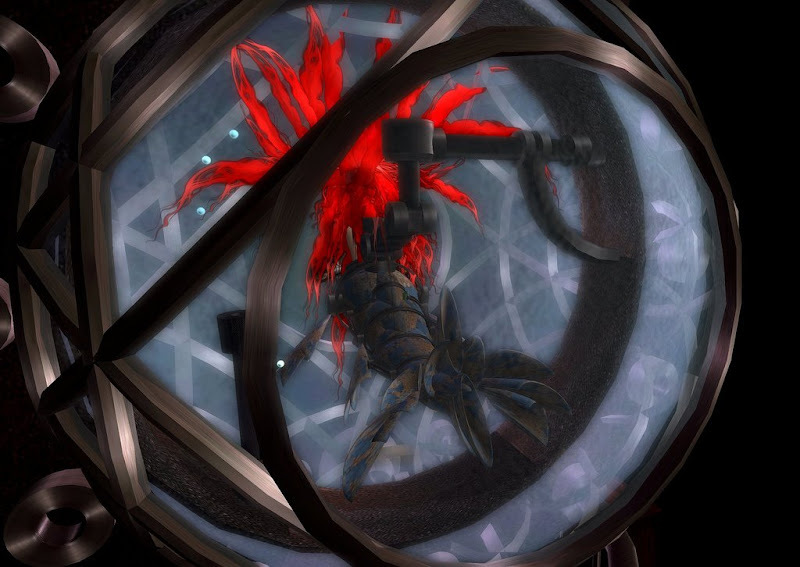 Capturing avatars in steampunk flying cages is a running theme with Onakagoo. 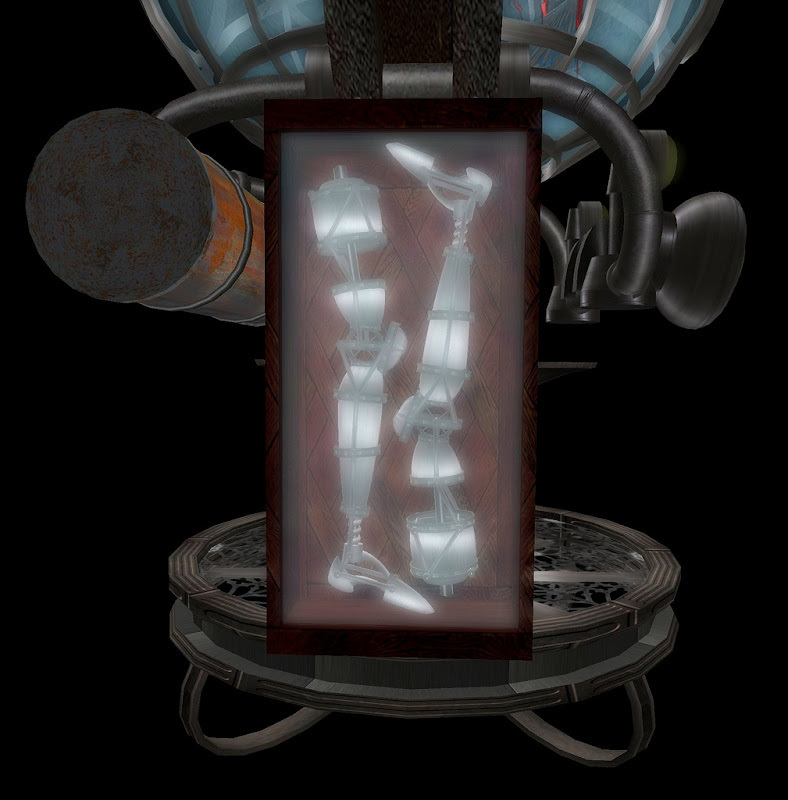 Take his Flying Little Mermaid avatar, complete with a steampunk tail and breastplate, as well his own submersible. 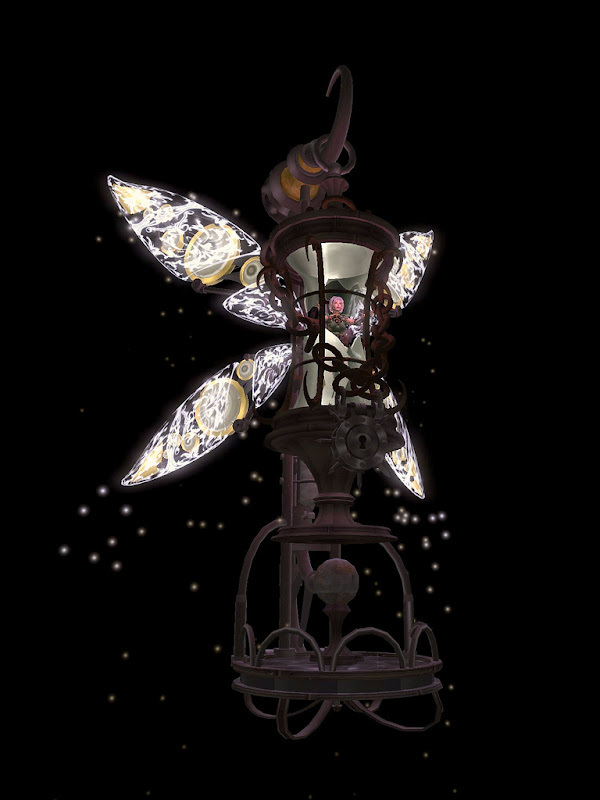 The Flying Little Pixie is caught inside an hourglass-shaped lamp, but the crystal has shattered, making room for her lacey steampunk wings. 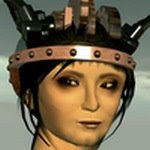 You can detach the flying cage and go about your pixie business wearing the mechanical (but nevertheless dainty) outfit Onakagoo provides you with. 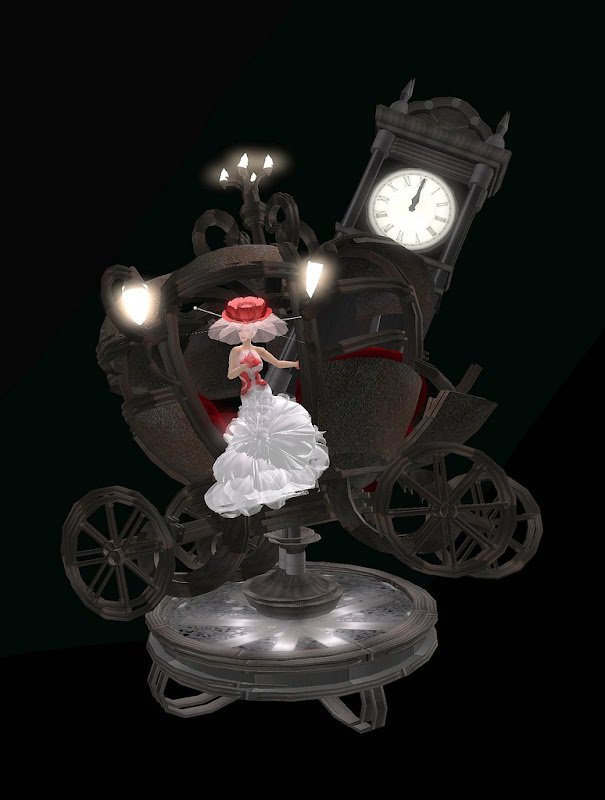 Finally, the Flying Little Cinderella isn't really an avatar, but an attachment you wear... a whirring, rusty steampunk carriage. Talk about making an appearance (or disappearance come the stroke of midnite) at parties! 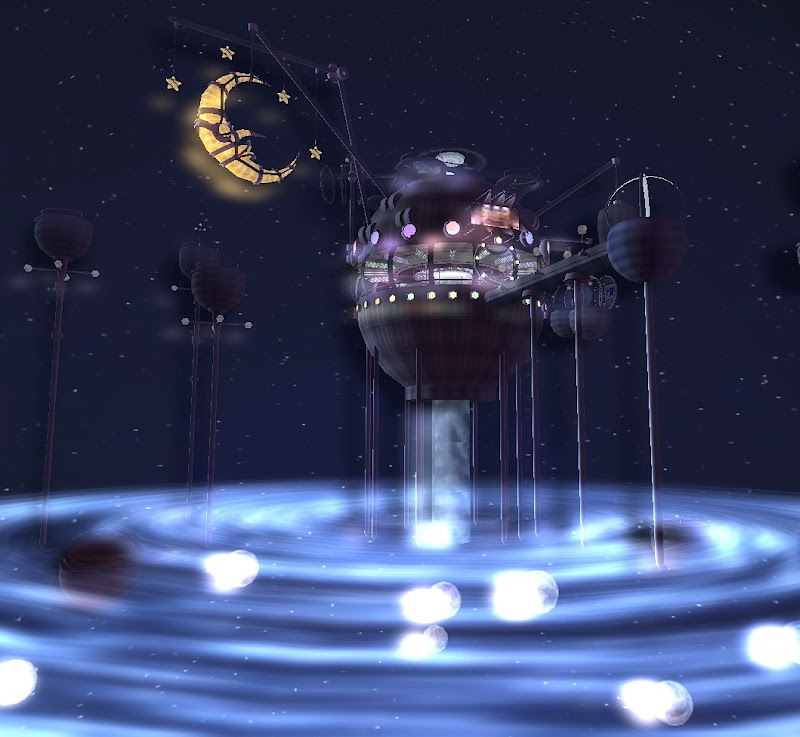 Housed within a sphere megaprim, the 109 Prims Circus store is its own environment and worthy of a visit whether you purchase anything or not. Teleport directly from here. Many thanks to Poulep[Oh]ndeuse who's fabulous Flickr stream I follow. It was she who guided me to Onakagoo and his latest magic. Onakagoo's Drill Factory is one of my favorite places in SL, and I ride around on and in her gadgets all the time (as you can see on my Flickr). And that's exactly what I tell people, too -- just go for the experience, even if you don't end up buying. It's truly an amazing place. I am proud of love of a lot of people of the thing that I made. I am wishing a lot of people to spend time happy by my shop. Thank you for writing a very wonderful article! 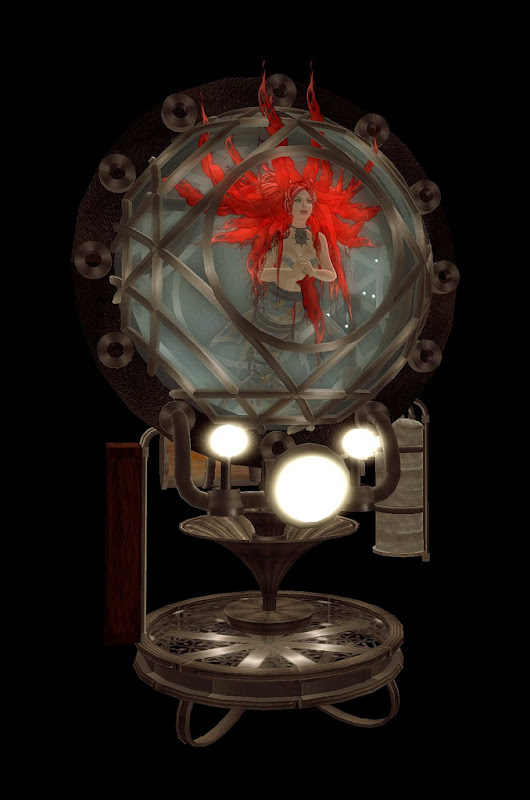 I don't think the mermaid has a submersible - I think the idea is it's the opposite, full of water so the mermaid can go exploring on dry land with her own water supply. Wow. I must go visit! I tried to find that vampire mermaid hair, but couldn't figure out if it was just in a pack that I didn't know, or if it wasn't offered anymore. Anyone know?